The team investigating the murder of Belfast solicitor Pat Finucane is preparing prosecution papers surrounding a former head of a secret military intelligence unit in Northern Ireland. 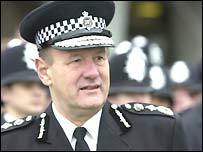 Metropolitan police commissioner Sir John Stevens, who is leading the investigation, told a news conference on Thursday he would be forwarding an interim report to the chief constable and the Policing Board in April. Mr Finucane, a high-profile Catholic solicitor, was shot dead by the loyalist paramilitary Ulster Defence Association in front of his family at his home in 1989. Sir John said the papers being prepared for the Director of Public Prosecution were in relation to Brigadier Gordon Kerr. Brigadier Kerr, who is now military attache in Beijing, formerly headed the military intelligence Force Research Unit in Northern Ireland at the time of the murder of Pat Finucane. Sir John stopped short of saying that he was recommending a prosecution. He said that was a matter for the Director of Public Prosecutions in Belfast. The papers deal with collusion in general and other matters and are broader than the murder of Pat Finucane. Sir John said it would be some time before his full report was complete. "I do not intend to leave any stone unturned," he said. "This approach has continued to identify fresh leads and uncovered information never previously disclosed. "New people are still coming forward and talking to us. As of today I cannot give a firm indication of when my work will be finally completed, apart from saying that it will and must take as long as it takes." Mr Finucane's widow Geraldine has again called for a judicial public inquiry into his killing. She described Sir John Stevens' comments as "banner headline writing and dilly-dallying". SDLP policing spokesperson Alex Attwood said Sir John's comments reinforced the need for a public inquiry into Mr Finucane's murder. "The indications that an individual or individuals may be prosecuted adds to the severity of this issue and is further compelling evidence for an independent inquiry to be convened," he said. "The Stevens investigation needs now to be concluded quickly, prosecutions pursued and the truth revealed through the convening of the independent inquiry." The Stevens Inquiry was to have been completed in November but was delayed. 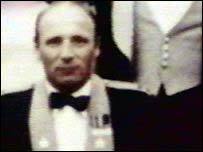 Since 1989, Sir John Stevens, has been investigating the allegation that elements within military intelligence and the old RUC Special Branch were colluding with loyalist assassination squads. The RUC became the Police Service of Northern Ireland (PSNI) in November last year. Only one person has faced charges in connection with Mr Finucane's murder, but the case against William Stobie was dismissed last November through lack of evidence. Stobie, a self-confessed former Ulster Defence Association (UDA) quartermaster, was murdered by loyalists outside his home in the Glencairn area of Belfast a month later. Last November, Northern Ireland Secretary John Reid said an international judge would be appointed to decide if such an inquiry was necessary. "It was one of the most controversial killings of the troubles"
"Sir John said prosecution was strictly a matter for the DPP"